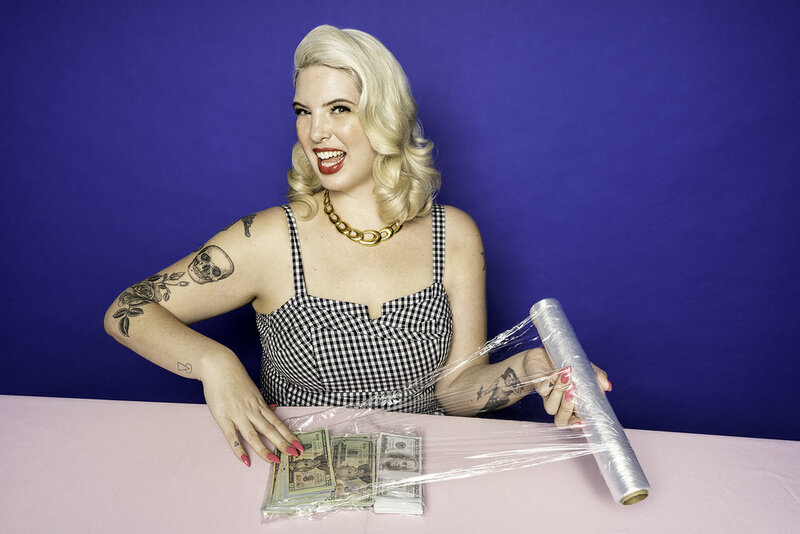 Money Museum Stacks House is Coming to L.A. In a city that’s had its fair share of themed Pop-ups, it’s no surprise that Los Angeles will soon be welcoming yet another massive interactive experience with Instagrammable backdrops in every room. Except, Stacks House, which is set to open on April 17, seems particularly appealing for one reason: its focus will be money. And we’re not just talking photo ops with Benjamins flying around ike confetti (although there may be some of that), Stacks House is designed to be equal parts style and substance empowering women through financial literacy, says co-founder Kindra Meyer. Meyer who teamed up with co-founder Patience Ramsey says the idea for a financial literacy Pop-up experience came from the results of election night. “(We) a shared epiphany that until women were confident and empowered around money we'd never have equality,” she says. Both women have been in the experiential industry for over 15 years and say Stacks House isn’t their only offering. "This is where we'll really get to know women across the country and find out what they truly need, to make sure the next product and service we build will serve them with our broader company, She Stacks,” Meyer added. Among the various money-themed rooms, women can expect to learn about debt in the Debt Boxing room, investing and retirement know-how in the Retirement Rodeo, side hustle and advice on “making more” in the Stacks Salon, see their financial future in the Infinity Room, relax and build community in the Gold Bar ( 21+ only), among others. Stacks House will be in L.A. from April 17- May 19. Pre-sale tickets are available for $38. Children 2 and under are free. Visit the Stacks House website here for more information.